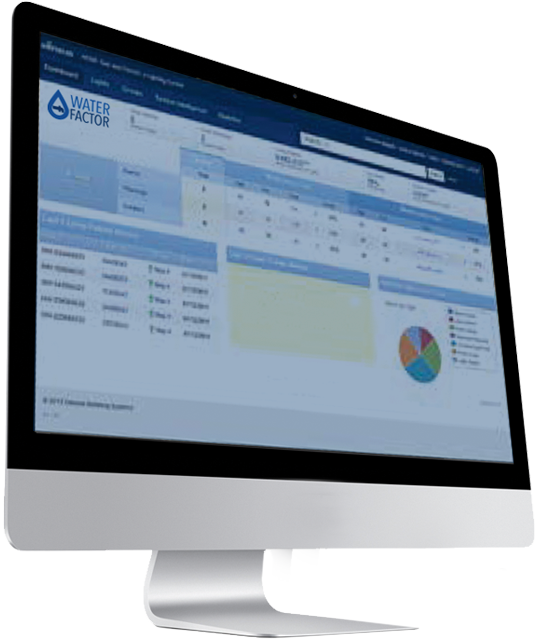 WATERfactor provides reliable and affordable water metering and easy-to-understand billing that can dramatically lower water bills and boost conservation efforts in your community. The WATERfactor administration interface enables municipalities to detect and respond to system problems instantly and effectively. GIS mapping technology accurately tracks water usage and loss for district areas plus pressure measurements throughout the system to quickly isolate and react to leaks. Wireless network management provides automatic software and firmware upgrades, while network redundancy and 20-year battery life ensures long-term communication stability. Plus, no additional towers or repeaters are needed, and no additional personnel are required to manage the system. With online access and hourly updates to their water consumption data, ratepayers can make positive changes in their behavior that conserve precious water. Web-enabled, mobile-friendly interface is easy-to-use and gives customers online access to their consumption data via their personal account. Customers can register online for a high water use warning. An email, phone call or text is sent to registered users so they can respond quickly to a leak or malfunction before it leads to a massive bill.